Well, spring is here – which may be hard to believe if you look outside! But certainly by our next General Membership meeting on May 21, 2012 in Juneau at the Alaska Peace Officers Association Crime Conference, spring will be in the air! We will provide a catered lunch for our meeting that day; the exact location will be announced. For details and to sign up for the 2012 APOA Crime Conference sponsored by the Capital City Chapter, go to the APOA website at www.apoaonline.org. We are going to have a silent auction fundraiser for our scholarship fund at the Crime Conference on Thursday, May 24. I am looking for donations of items to be auctioned. The last time we had an auction at the Juneau conference, thanks to the hard work of our members in Juneau, we raised over $1,200 for our WPA scholarships. If you will not be able to attend the conference in Juneau, but have items to donate, please contact me at michele.logan@womenpoliceofalaska.org and I will arrange to pick up your item(s) and get them to Juneau. Also, please contact me if you have suggestions for donations that I can follow up on. May is also Police Memorial Month and once again, Women Police of Alaska, along with Anchorage Police Department Employees Association, APOA – Anchorage Chapter, FOAST and the Alaska Public Safety Employees Association, has donated money to the Police Memorial Picnic on the west lawn of APD in advance of the Anchorage ceremony on May 11, 2012. 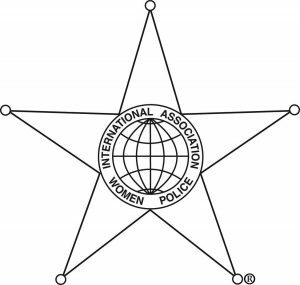 We are still working to obtain a charitable gaming permit, and from the last indication, we are planning to partner with the UAA Justice Center, the Alaska State Troopers and the Alaska Association of Chiefs of Police to have our 4th consecutive Women in Law Enforcement Career Fair at the University of Alaska Anchorage this fall. Details will be provided when they are available. In the meantime, stay safe, keep looking for spring, and I hope to see you at our General Membership meeting in beautiful Juneau, Alaska!